Perfect all year round, keep your head protected from the elements and add a bit of style to your outfit by pulling on the Classic 99 Train Vapor Baseball Cap in Obsidian, Black and Pure Platinum from Nike. 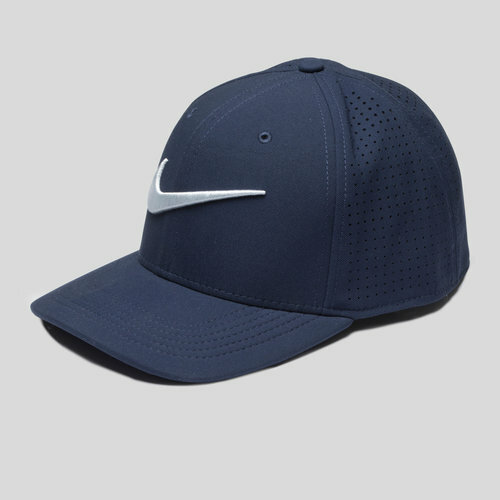 This mens hat is perfect for casually wearing as well as wearing during training, the perforations on the panels ensure the head stays cool even when the action starts heating up. The hat is also designed with stretch fabric which ensures it fits the head well without being too loose or too tight.